Allegory of hope; Oil on canvas, Francesco Guardi, 1747. This blog post is written by Ciara Shannon, a GCCM founding member and Asia Coordinator for OurVoices.net, the international, multi-faith climate campaign. Where did the World go Wrong with regard to Climate Change? One particular objective of the Global Catholic Climate Movement (GCCM) is: “to advance the Catholic relationship between faith and reason, especially as it relates to adaptive decision making in areas of climate change policy”. The topic of Faith and Reason, deals with many issues; relationship of Faith to Science, Philosophy, History and Anthropology etc. There is one particular question that I would like to deal with in this blog: what is the root cause of the ecological crisis, what went wrong, or where did we go wrong? Finding an answer to this is of vital importance, because it can point us in the right direction as to a solution. Everybody has an implicit, if not explicit answer to that question. A common answer among Christians is: we are basically a flawed species – a variation on the doctrine of Original Sin. If we accept this as the explanation then the solution is to pray, or do nothing since nothing can be done, or be converted in some way. Recently, I revisited my philosophy studies, (something I never thought I would do! ), and came across a very interesting proposal as to where Western Civilization went wrong. It brings us back to the pre-modern 13th and 14th centuries the debate between Realism and Nominalism. (Don’t run away, yet!). This involves St. Thomas Aquinas (Realism) and William of Ockham (Nominalism). 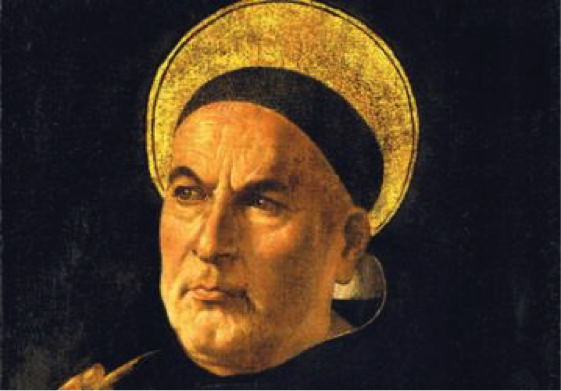 Aquinas … affirmed the Creator’s providential intelligence and the resulting order and beauty within the created world. …the more the world was explored and understood, the greater the knowledge of and reverence for God would result…. Nothing that was true and valuable, even if achieved by man’s natural intellect, could ultimately be foreign to God’s revelation, for both reason and faith derived from the same source. However, this wonderful synthesis did not last long. It was challenged and displaced by Nominalism that attacked the connection between reason and faith. Ockham (d. 1349) felt that Aquinas’, synthesis between nature and grace threatened God’s Transcendence and Omnipotence. How could God still be all powerful if He was confined by the laws of nature? Knowledge of God, according to Ockham, could only be attained through Revelation – faith and grace, not through natural reason. Nominalism soon became the dominant way of thinking about Nature and with the Protestant Reformation, Nominalism received a boost: as the thought of nature being a source of revelation was anathema to Luther who stressed Scripture alone, scripura sola. Then, we had the dispute with Galileo and other thinkers. The condemnation of Galileo, created a rift between faith and reason. The Church and the thinkers of the day, parted company, with the Church confining itself to ‘revealed truths’ and the thinkers, free to explore Nature, without any religious or moral restraint. With Francis Bacon’s scientific method of inquiry based on experimentation and inductive reasoning – as the only way of knowing and then Rene Descartes famous “I think therefore I am” – both consolidated the Nominalist denial of any inherent value or meaning in Creation. The triumph of reason then became complete with the European Enlightenment. The so-called ‘enlightened’ age saw the emergence of the Nation State, based on reason, free from the shackles of Church and Monarchy. Thus, Nominalism unwittingly laid the foundation to a Church that no longer focussed on Nature as a source of Revelation about God; and for a long time this meant they had nothing to say about the destruction brought about since the Industrial Revolution. If this is our problem, then it points to a solution where we need to recover a world-view where Nature is intrinsically valued, as revelatory of the Divine. As St. Columban said “if you want to know God, know creation”. The good news is that, in our times, such a world-view is possible because of the putting together of a story of creation, based on the scientific evidence. The Church today has no problem, in principle, with the evolutionary story of creation, but work needs to be done in developing and propagating such a world view. Thomas Aquinas will undoubtedly be happy, as it will mean a re-affirmation of his Realism over the Nominalism of William of Ockham! Richard Tarnas: The Passion of the Western Mind, Understanding the Ideas that have shaped our World View, Pimlico, Random House, London, 1991. 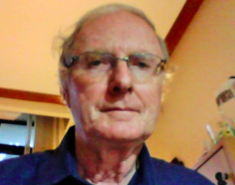 This blog posting is written by Fr John Leydon, a GCCM founding member, a Columban Missionary in the Philippines and the Director of Center for Ecozoic Living and Learning (CELL) which he co-founded in 1998. In preparation for the U.S. Lenten Hunger Fast for Climate Justice on March 16th which is part of the Global Catholic Climate Movement (GCCM) Climate Lenten Fast, I have written this blog to share my reasons for joining in the fast. “What are our faith, our words and our history worth if not translated into action, sacrifice and redemption?” This is the first line of the statement that was issued by fasters in the USA who in November 2013 started a hunger fast for immigration reform. We started out as 6 fasters. By the last day almost 200 people had joined in the tent on the National Mall, some for a day or more and three for 22 days. Over 10,000 people joined the fast as solidarity fasters across the country. The statement sums up why people of faith fast. Jesus tells us that to love God we must love our neighbor, and to love our neighbor we must be willing to sacrifice everything. We join in fasting and praying not only to do penance but to sacrifice out of love and with a spirit of hope. Francis of Assisi said: “If you have people who will exclude any of God’s creatures from the shelter of compassion and pity, you will have people who will deal likewise with their fellow humanity.” The idea of caring for all creation was not some paternalistic concept of having dominion over creation. St. Francis believed in the inter-connectedness of all creation, a wholeness of being with the earth and all of her inhabitants. Francis understood this inter-connectedness from a spiritual perspective. Today, through quantum physics, we know that everything in the universe is connected. Each particle and every molecule are bound together. As spiritual people we are called to conscience to act for justice through sacrifice and spiritual witness. Fasting has been part of faith traditions and justice movements from the Hebrew prophets to leaders such as Martin Luther King Jr, Gandhi and Cesar Chavez. Fasting is a way of connecting with God. We are fasting as a way of following these examples, and we pray and hope that our elected officials will heed our call to end this moral crisis of destroying Gods creation. We are experiencing the results of an economic system based on the principal of separation, not connectedness. A system based on individual greed, not the common good. We have seen the devastations caused by our lack of solidarity with each other and all of God’s creation. It is because we value our relationship with God and God’s creation that climate change is for people of faith a profoundly spiritual, ethical, and moral issue. Francis of Assisi recognized God’s work in creation, and loved it. He celebrated the beauty of God in creation, and loved God all the more for this gift. Francis’ relationship with creation is best understood within the broader context of his religious journey. Fasting and prayer are not ways to earn God’s favor by our good intentions or good works. God’s grace has been fully given to us. We can’t earn it by doing extra things or by giving up certain other things in fasting. Christian beliefs only become faith when they are put into action. If the fast doesn’t motivate us to fight injustice, then it is not a proper fast! As people of faith we are called to use our prophetic voices to speak for those least able to defend themselves -people living in poverty, children, future generations and all creation, all who will suffer the most from climate change. Fasting is a form of action to re-awaken our consciousness, our souls, and join all creation in a story of connectedness, not a story of separation. 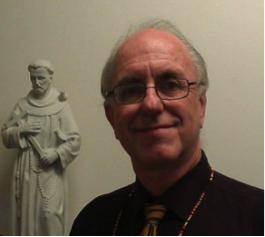 This blog is written by Patrick Carolan, a GCCM founding member and Executive Director of Franciscan Action Network (FAN). This blog is also featured in the FAN blog site and is published with permission. What happens when a rabbi and a Roman Catholic lay ecclesial minister start talking about Pope Francis’ forthcoming ecological encyclical? 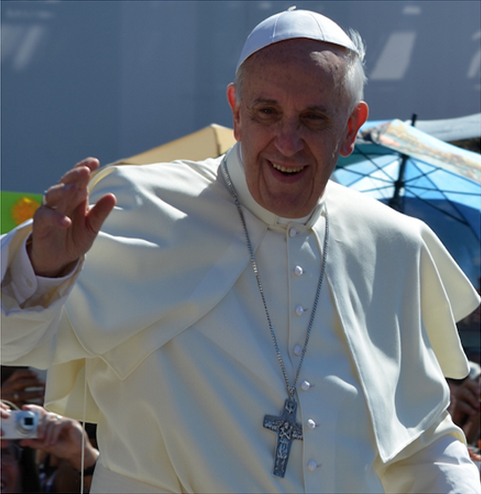 Click and read to learn Why People of Diverse Faiths Should Support the Eco-Encyclical. The linked article above was featured in the Huffington Post on March 3rd 2015 and was written by Jeff Korgen & Rabbi Lawrence Troster who are engaging Catholic and Jewish communities with OurVoices.net. 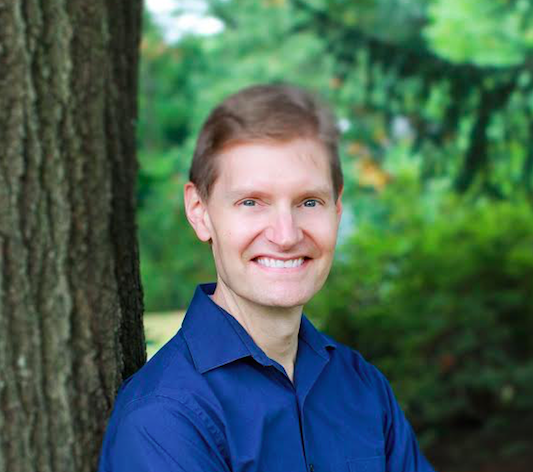 Jeff Korgen is also a GCCM founding member. From Fr. Roch’s porch, one sees acres of dead trees lying limply, killed by salt water intrusion from the storm surge. Eerie forests like this one dot the bayou county of south Louisiana’s coast. Fr. 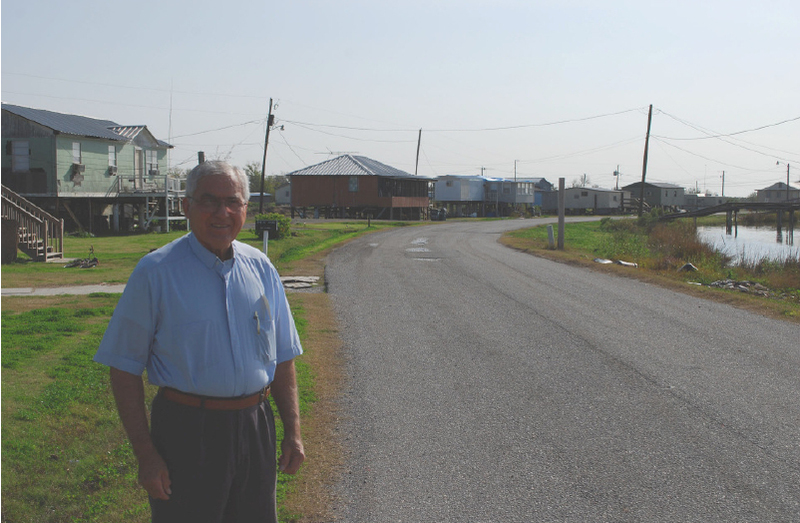 Roch is an Isle de Jean Charles native, a retired Roman Catholic priest and coastal restoration advocate. Leadership runs in Fr. Roch’s family, his great-great-grandfather Jean Charles founded the island settlement, and he helped found the Bayou Interfaith S Community Organization (BISCO), laying the groundwork for the organization in the late 1980’s. Fr. Roch also noted painfully, that the manmade canals provide enables a storm surge to travel further into the marsh. In this area, storms do not have to be as strong to destroy. A Category 5 storm would carry everything to higher land and someday, these homes will be gone. Water will cover the land and off-shore oil drilling will begin on what was once the Isle de Jean Charles. According to a U.S. Geological Survey report, each year between 1985 and 2010, sixteen and a half square miles of Louisiana disappeared into the Gulf of Mexico. This erosion includes much of the Isle de Jean Charles, a small island once populated by 100 Houma Native American families. Now, only 25 households remain. BISCO leaders point to the island as an example of what’s in store for the state if coastal erosion and storm surge remains unchecked. The situation is a bit like the story of the people of Carteret Islands, located near Australia, who must resettle before rising tides finish the job of destroying their homes. Their story is the subject of a documentary film, Sun Come Up, widely promoted by the Catholic Climate Covenant. American audiences have expressed deep concern over the plight of the Carteret Islanders. Have environmental leaders noticed that the same type of eviction-by-climate-change is happening here in the United States? Not so much…but BISCO has. Scientists have developed some encouraging schemes to slow down the erosion, but one of the most promising ideas has emerged locally. BISCO is now using its clout to draw attention to local retired engineer and tinkerer Webster Pierce. His “Wave Robber” apparatus not only stops erosion – it reverses it! BISCO’s promotion of the Wave Robber attracted the attention of the University of Louisiana and with BISCO’s help; this pilot project may be replicated throughout the Gulf Coast. The hope is that land will be returned – several grains of sediment at a time. It may be too late for residents of the Isle de Jean Charles, but perhaps just in time for other Houmas living in the bayou country of coastal Louisiana. Written by Jeff Korgen, GreenFaith, Campaign Advisor and Founding Member of the Global Catholic Climate Movement (GCCM). Today the Global Catholic Climate Movement (GCCM) announced that over 1000 Catholics in over 50 countries have committed to fast and pray for climate action as part of the Lent Fast for Climate Justice. The traditional fast on Ash Wednesday (February 18) commenced the global effort. 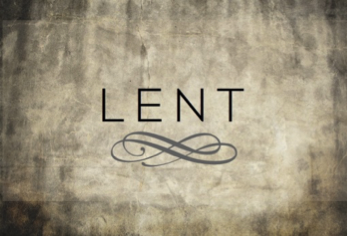 For every subsequent day of Lent, the GCCM have different countries signed up to fast, in some cases two countries per day. Since Ash Wednesday, the following countries have completed their fast day: Peru, Zambia, Tanzania, Hong Kong, Nigeria, and Japan. The first country to fast after Ash Wednesday, Peru, is one of the countries most at risk from climate change, according to the Intergovernmental Panel on Climate Change’s Special Report on Emissions Scenarios and Stern Review. Temperatures are calculated to increase in this South American country between 0.7°C and 1.8°C by 2020 and between 1°C and 4°C by 2050. The other nations that fasted this week also have troubling predictions because of climate change: from more intense typhoons in Japan to lower crop yields in Zambia where agriculture accounts for 20 percent of the nation’s GDP and 71.6 of employment. This Lent Fast for Climate Justice urges Catholics to unite on climate change. It also calls for decisive action for a fair, ambitious and legally binding global agreement in the COP 21 summit at Paris to keep the global temperature increase below 1.5 degree Celsius, relative to pre-industrial levels. We ask that Catholics in every country pray and fast for our troubled Earth and especially those who are affected most by climate change; the poor and those who live along coastal communities. The Global Catholic Climate Movement (GCCM) announced today that more than 40 countries will take part in a 40-day Lenten fast for climate justice, from Ash Wednesday, February 18th, to April 4th. Participants in the Lenten fast are praying for unity on climate change within the Catholic church and asking world leaders to take all steps possible to meet the goal of a global temperature increase of less than 1.5 degrees Celsius (relative to pre-industrial levels), by means that include a fair, ambitious, and legally binding global agreement in the COP 21 summit in Paris. Today, Catholic organizations and leaders throughout the world have announced their collaboration as a movement working toward a sustainable climate future. Comprised of laity and clergy, theologians, scientists and activists, the Global Catholic Climate Movement (GCCM) released a statement containing their beliefs and mission. The statement supports Catholic environmental teachings and calls for prayer and action among the world’s Catholic population, making it the first time that such a global movement of Catholics gathers to work together on climate issues. The GCCM launch coincides with the trip of Pope Francis to the Philippines this week where he will meet survivors of super typhoon Haiyan, which is considered to be related to climate change. Cardinal Tagle, Archbishop of Manila, will present the movement and its statement to Pope Francis in Manila. This announcement takes place at a time when the Catholic community is expecting the upcoming encyclical about ecology, which will spark a lot of interest among the laity to reflect on our relationship with God’s creation and its relationship with social issues.